The Nile River is mentioned numerous times in the Bible. It was truly the “lifeblood” of Egypt. These folks in the two boats in the photo had either been fishing or were about to go, as they had fishing nets with them. the great river of Egypt flowing north from its sources in Lake Victoria in Uganda and in the highlands of Ethiopia, a distance of 4,037 miles, the entire length of the Sudan and Egypt, to the Mediterranean. The two major branches, the White Nile (from Lake Victoria) and the Blue Nile (from Ethiopia), merge at Khartoum, with one modest tributary somewhat farther to the north and none at all in Egypt itself. Beyond Khartoum the Nile flows through several cataracts, inhibiting navigation but not preventing it. The last cataract is at Aswan, the beginning of the Nile Valley proper. (Because the Nile flows from south to north, the southern Nile valley is referred to as Upper Egypt.) From here on the Nile flows north in a well-developed valley with cliffs on either side almost as far as Cairo, and the river becomes important for its overflow and the hydraulic irrigation of the adjoining floodplain. Within the Nile Valley the river is fairly constant at about six-tenths of a mile in width, whereas the valley varies from six to nine miles across (p.705). The land of Egypt has great significance for the biblical narrative. God told Jacob, father of the twelve tribes of Israel, that He would make of him a great nation in Egypt (Gen. 46:3). As the book of Exodus opens, Israel is already a numerous people, and the new pharaoh of Egypt felt he had to take oppressive measures against them (Ex. 1). 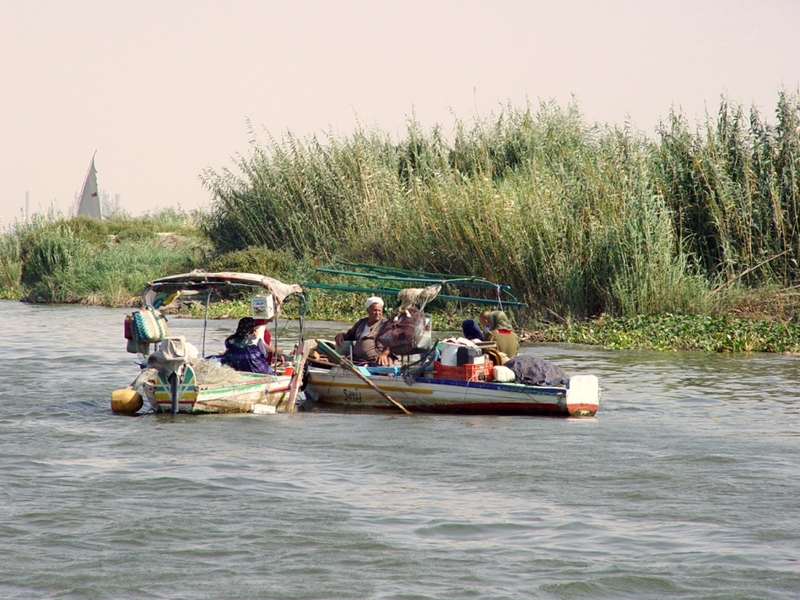 The Nile River makes life in Egypt possible, both in ancient as well as modern times. I’ve previously written on the Nile here and here. This entry was posted on Wednesday, April 5th, 2017 at 9:54 PM and is filed under Bible History and Geography, Bible Places, Egypt, Israel, New Testament, Old Testament, photography, Travel, Uncategorized. You can follow any responses to this entry through the RSS 2.0 feed. You can leave a response, or trackback from your own site.